True to Goldoni's mixture of comic wit and farce, the plot is a breathtakingly fast succession of twists and turns which only unravel in the very final lines with a surprise ending. Two friends are in love with the same young woman. Neither wants to place their friendship in jeopardy. How can love triumph without breaking off their friendship? Goldoni explores the conflicts brought about when Florindo has to choose between Lelio, his best friend, and Rosaura, his best friend's fiancee. Added to this conundrum are the issues of whether Ottavio, the old miser, will provide a dowry and the mature Beatrice's unashamed incessant pursuit of Florindo. The play is set in Bologna in Lelio's house. Florindo is a guest along with his faithful manservant. From the opening of the play, Florindo seeks to return home to Venice in order not to damage his friend's relationship. However, his departure is obstructed time and again by his hosts, leading to one complication after another. From the beginning, the plot is intense and fast-moving with inversions fed into the action in quick succession. This creates suspense which continues throughout the play as potential marriage partners are switched back and forth until the very ending when the audience finally discovers what the main characters' destiny will be. Will love or friendship prevail? The Venetian element is brought into this play through Florindo and his manservant, both Venetians. Apart from these two characters, all the others are portrayed as self-seeking, selfish and sly - whether servants or masters. The tension is kept at a constantly high level by the struggles between the characters. These struggles are not just brought about through love and friendship but are also generational and social. Furthermore, there is the added complication in the contrast of the characters' ideas of reality as they deceive one another. This creates dramatic irony and humour as the audience know more than any of the characters on stage. 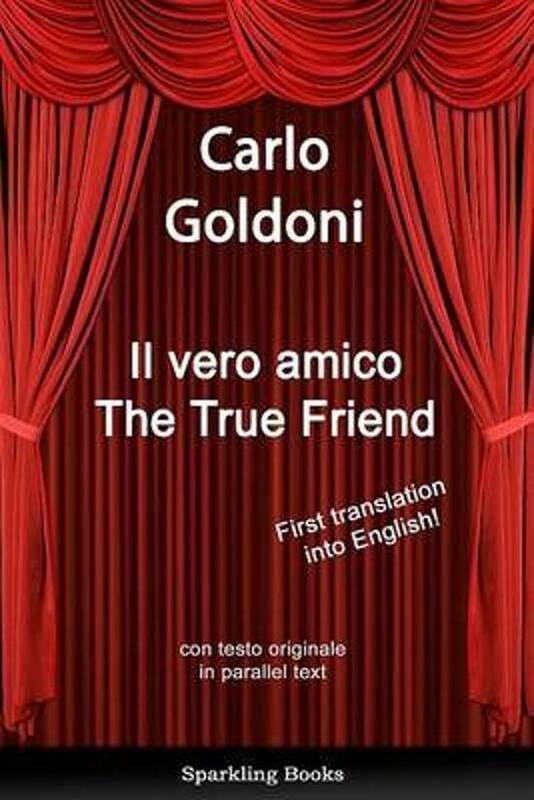 Original title: Il vero amico Italian, English texts on facing pages. Same pagination as hardback.